For Veterans Day, I'm reposting the announcement of my latest book, Friend Grief and the Military: Band of Friends. It recently earned an honorable mention in the Chicago Writers Association 2014 Book of the Year Awards. But what means even more to me are the reactions of veterans who have read it: "You get it." Grief is hard. 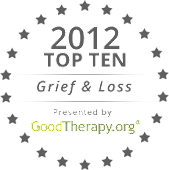 Grief for our friends is often dismissed as unimportant, at least when compared to losing a family member. But friendships forged in the military are different, very different. You’re friends, but more, because your lives depend on it. In my book, you’ll meet men and women on the front lines who watched their friends die, and carry the trauma of that moment with them for decades. You’ll meet noncombatants – doctors, nurses, chaplains, war correspondents and even a little drummer boy from the Civil War – who struggle with grief and guilt and carrying on. You’ll learn about moral injury, and how that may be a much bigger story than PTSD. And you’ll learn why the oft-recited statistic of 22 veterans a day committing suicide is shockingly inaccurate. And because grief also changes people for the better, you’ll be introduced to individuals and organizations who are working with veterans to resolve their guilt, work through their grief and honor their fallen friends. Since Shakespeare’s time we’ve often heard soldiers, sailors and Marines refer to their battle buddies as “brothers”. Even though it’s somewhat problematic, given the increasing role of women on the front lines, the designation has stuck. In writings as far back as the ancient Greeks, the relationship between soldiers has been described as comparable to family. A family is a group of people related by blood that functions together with common goals and dependency. “Blood is thicker than water,” right? In the military, nothing can be accomplished without the trust and dependability of those in the unit. That cohesiveness is the difference between success and failure, life and death, every hour of every day. The bond is stronger than a normal friendship because your lives depend on it. So, when asked why they refer to their friends as brothers, you are likely to get an answer along the lines of “because they mean as much to me as family.” Referring to other soldiers as family members is, from their perspective, the highest compliment. A similar phenomenon existed in the AIDS community in the 80s and 90s. People with HIV/AIDS – gay, straight, young, old, male, female – were often abandoned by their families. Their friends became their family of choice – of necessity, really – because their lives depended on them. That’s why this book is not titled Band of Brothers or Band of Brothers and Sisters. This book is titled Band of Friends. 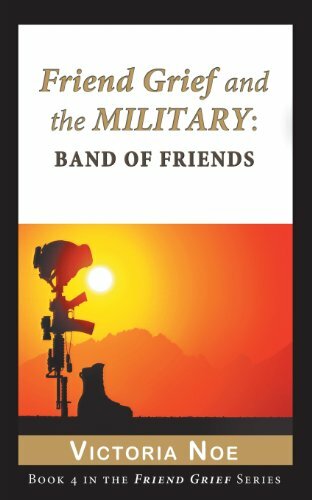 Friend Grief in the Military: Band of Friends is now available for Kindle, Nook and Kobo; paperback version available from Amazon, Barnes & Noble and IndieBound.